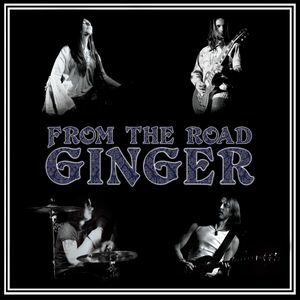 Ginger - "From the Road"
Ginger is a psychedelic blues rock band from Switzerland. This is their latest release and features a collection of long tracks recorded from their tours during 2010. The sound quality and playing is excellent. The CD starts off with Set the Control for the Heart of the Sun (Yes, the Pink Floyd song). The band have their own unique take on the track with some nice guitars filling in the spaces. Letters is next and this is a pretty uptempo hard rocking blues track to start and then it slows down with a great guitar solo and takes off again. Drive Baby is one of the shorter songs at 6 minutes. It is also pretty uptempo and has some nice dual guitar stuff that is pretty spacey. Crosstown Bar Blues is one of the highlights for me on the CD and this is followed by a pure jam and then into a drum solo! Crosstown is old school blues stuff with great guitar playing. Winds of Dust Part II starts off really funky and has some guitar solos straight away and cool bass and drums as well. It does really feel like you cut into the middle of a song maybe that is why it is part 2? Sugar Mama is next and it is not the old Taste song of the same title though it is a blues shuffle style track. I guess this band is a fan of Taste though! The Van Morrison classic Gloria finishes off this CD and is a more hard rock version than most you will here. If you are a fan of the band you will enjoy this and if you are new to the band you will get a good selection of the styles the band is all about. Enjoy.